Popped over to a church in Liverpool . Whole area was either meters with a 2 hour max £4.40 which was no good as service was 2 hours long at least. Rest of the streets were single yellow but with no time designation saying when you could park. Managed to find a space where the yellow line had been removed and tarmaced over giving the impression of a parking space... so squeezed in imbetween the 2 ends of the single yellow. Got a ticket! Took a load of photos for my evidence but noticed the photos on Liverpool council website even show there is no yellow line.... Made an informal challenge to it..
Good luck with the appeal, could also tell them that rule 238 of the highway code states you can't park on yellow lines and it's obvious that the lines have been removed and there should also be a timeplate on a post or street lamp nearby showing the times of restricted parking. Think someone was too eager to give a ticket out to think about the legality of it ! Not sure about the timeplate thing ..will check the code but i think it says if there isnt one then you cant park. had missus check on phone while we were there. The area is deserted on a sunday and the only couple of cars we saw were parked at meters. Also heard that the church had come to some arrangement with the council about parking on sunday. Dont know what people do around there in the week as 2 hours max on a parking meter is not much if you work there. Area back of T J Hughes ff London Road.. The pastor of the church told the congregation he had spotted the warden and 3 or 4 people left. Heard the warden ask a couple of people to move as they had parked between the yellow line and the church building..not really a pavement. I didnt bother as the only place to move to was a meter and I was in that couldnt give a monkeys mood so bring it on council..
Rest of the streets were single yellow but with no time designation saying when you could park. A controlled parking zone (CPZ) is an area where all on street parking is controlled. When you enter a zone there are entry signs to tell you what restrictions apply within it. When you are in a zone, parking is only allowed in designated parking bays. Waiting restrictions (yellow lines) apply everywhere else. There is no free parking within the city centre between 8am and 6pm. Think you may be a bit snookered fish - last course of action to try if all else fails is compassionate grounds. --Oh, Im sorry to hear that fish, your poor old granny ! As far as I am aware, the CPZ only removes the requirement for sign posts, it doesn't remove the requirement for a yellow lines ie the CPZ only applies to yellow line areas. You could also mention religious discrimination whereby religions with long services are being discriminated against, sounds picky but sometimes the absurd carries more weight than common sense (eg the law on turbans for bikers). Thats what i would have thought..council cant solely rely on some hidden legislation or a sign 400 yds away. The code on the PCN says "Parked in a restricted street during prescribed hours" No idea where the "prescribed hours" are prescribed (apparently on a controlled zone sign somewhere). Was more interested in the blue P signs trying to look for somewhere to park. A "controlled zone" sign doesnt tell you where the boundaries are for that zone.. I think the appeal will be successful, others have won for badly marked bays or faded / broken / tarmaced over lines. Fingers crossed for you fish! If it actually says "Parked in a restricted street during prescribed hours" this is different from a CPZ . 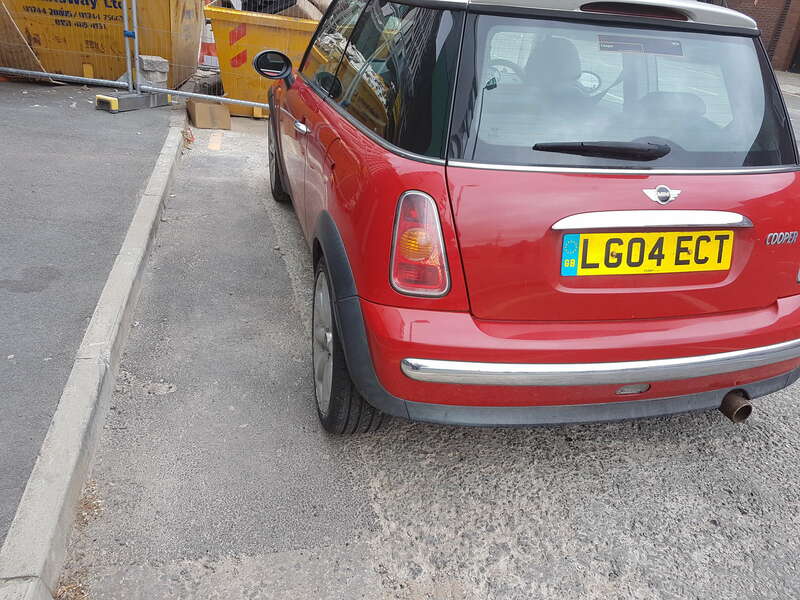 A Restricted Parking Zone (RPZ) is an area where if you wish to park or wait - you can only do so in a designated parking bay - even if there are no double yellow lines painted on the roads. Loading or unloading your vehicle is also not allowed outside of bays. Fingers crossed for you Fish, not a nice thing to happen at the best of times but seems worse while in a church. Lets hope that it is a CPZ and the ticket issued was incorrect. CPZ's are bounded by the sign, there are end of CPZ on the back of them, the same as speed limits. Interestingly, Liverpool doesn't mention RPZs on its website, only CPZs and Residential Parking Zones. Like @fish says, trying to keep track of road signs is not at all easy if areas are zoned most of us are pre-programmed to be looking at the standard speed limit signs and such-like. I remember stopping at a set of traffic lights and counting over 40 signs etc visible from that point, its ridiculous. Liverpool could be more helpful by putting maps on their website of restricted zones but that would be asking too much wouldn't it. The photo you have of the tarmacced over line will win you this. Tell them they should go to Spec Savers ! Parking guidance and statutory guidance 31st March 2008 issued by the Government to Local Authorities states that a CPZ should not be larger than 12 streets.